RentMan, the market leading vehicle rental management system, delivers real value with service and support from people who understand your business. A complete end-to-end system offering intuitive front-counter capabilities as well as comprehensive back-office reporting and management solutions makes it suitable for any sized rental operation. From single operator rental locations with a minimal fleet, to a multi-site national running a fleet of thousands of vehicles, RentMan is fast to implement and its out-of-the-box functionality delivers real value to your business right away. RentMan is delivered as a System-as-a-Service (SaaS) from our own dedicated data center – we take care of all the hosting requirements, updates and backups – so there is no expensive hardware expenditure for you. All you need is a PC with an internet connection and a printer and you have everything you need to get up and running today. In the highly competitive vehicle rental market, we understand that speed and knowledge are the key to success. We offer in-house training for your teams so that you can get up to speed quickly. Together with our dedicated helpline and support team, on hand to assist you with any queries you have, means real help in real time. 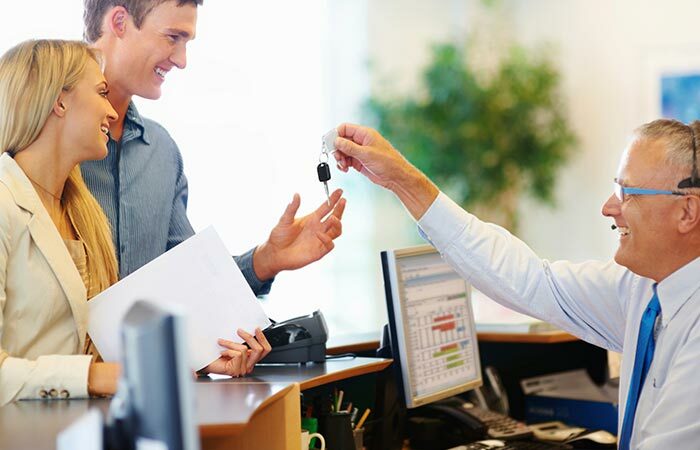 First introduced in 2004, and developed as an add-on to the manufacturer dealer based rental programs, it is now being utilized in dealerships for the service receptionists to use for the management of courtesy vehicles, or replacement vehicles for when a customer’s car is in for warranty and repair work. Whether you select RentMan or RentMan Light there are no long term contract obligations – that is how confident we are that you will find it an indispensable part of your business.